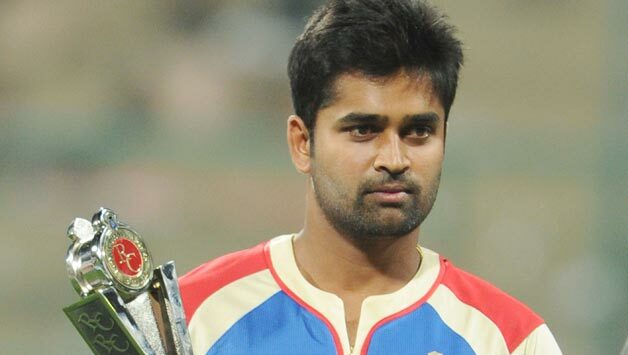 The well-known seamer R Vinay Kumar shifted his weight to Dinesh Karthik, the wicketkeeper-batsman. At upcoming IPL (Indian Premier League), Karthik has been surprisingly chosen to helm KKR (Kolkata Knight Riders), which has become two-time champions. KKR has handed over the whole charge to Karthik and not chosen Gautam Gambhir who was even IPL winning skipper for two times. Robin Uthappa will be the deputy of Karthik. The former Karnataka skipper, Vinay Kumar said that it doesn’t matter that he had not led a number of matches for Tamil Nadu and it doesn’t prove his dexterity. Instead, he is a good leader and will give his best hopefully. He also said that every one of us should help each other and accept the decision. In IPL, before joining KKR, in 152 matches, Karthik played for these five franchises – Kings XI Punjab, Gujarat Lions, Delhi Daredevils, Royal Challengers Bangalore and Mumbai Indians. In 2009-10, Karthik led Tamil Nadu as a skipper for a one-day tournament of Vijay Hazare Trophy and won over Bengal. Last year, for Duleep Trophy, he captained India Red. In 2016, he even led Albert Tuti Patriots. This time, KKR will have many young players and recruited under-19 Shubham Gill, Shivam Mavi, and Kamlesh Nagarkoti. From the first edition, Vinay Kumar is continually playing IPL. Firstly, RCB picked him for their team and he played with them till 2011. Then in 2011, he played for Kochi Tuskers and after that in 2014, he got selected for KKR team. In 2015, he played for Mumbai Indians and now again he is back to the former team, KKR. He said that he is very happy with his return to KKR. Four years back, he was a part of it when they collectively won a tournament. He also said that he is preparing completely to give best in further matches.